Upper Hutt City Football aims to be THE club of choice for girls’ and women’s football in the Hutt Valley. and the ONLY club with a team in every round of the inaugural Girls’ U18s competition. For season 2019, it’s our intention to further grow our junior girls’ development programme, strengthen and develop our women’s first team (W League) and girls’ U18s team, and to introduce a new women’s 2nd team. We’re keen to hear from talented, passionate coaches who can help us grow our females in football programme. To take the lead in developing and challenging our existing players, attract new ones and over time guide them to individual and team success. This is an outstanding opportunity for an ambitious coach to make their mark; to grow and further develop a group of committed, focused, talented players who have already experienced success. Have solid practical coaching experience backed by relevant qualifications and in-depth understanding of the latest coaching philosophies and techniques. This role may suit a current first team coach with proven results from a lower league who is ready to step up or an assistant coach at W League level keen to prove their own coaching capability. This is a remunerated position. This will be a new team for the 2019 season. It is envisaged this will be a mix of our current U18s and experienced senior players so it is essential that the successful applicant is able to adapt his/her teaching methods for different ages and abilities. Depending on players, this could be two separate teams; a competitive 2nd team and a social team). As well as club-based training sessions and games, the role may include providing support to local college football programmes. 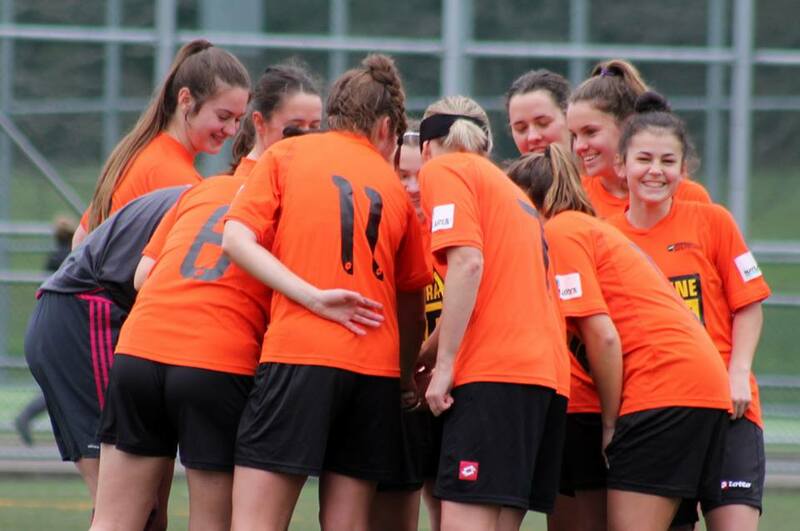 With a focus on fun and skills development, the Girls U18s competition aims to bridge the gap between junior and senior club football, encouraging teenage girls of all abilities to develop their skills in a quality, yet relaxed club environment. The successful applicant will be an experienced youth coach, committed to the individual development of the players and able to successfully manage a range of ages and abilities. As well as helping the girls to develop their game awareness, improve their skills and solve problems, you’ll be an empathetic listener and thoughtful communicator, inspiring the girls with your passion for the game. A club renowned for its community spirit and committed to the development of girls’ and women’s football. Join us as we strive to become the Hutt Valley’s first choice club for female footballers! Please send your cover letter and football CV to Jamie Wood, UHCF Club Chairman, jamie@upperhuttcityfootball.org.nz or give him a call for a confidential chat on 021 281 7671. We’d also love to hear from anyone keen to support our women’s teams both on and off the field. Whether it’s ensuring a quality game-day experience for our players, coaches and supporters, helping promote our women’s teams through our marketing channels or being a voice for the female players on our Executive Committee, if you have new ideas, energy and a willingness to contribute to grow our girls and women’s game, please do get in touch! Contact gillian@upperhuttcityfootball.org.nz or call 027 262 1767 for more info.